California redwood: Voyager 06 features super silver mirrored lenses in a polished blonde tortoise acetate frame. In celebration of our home state of California, and our optimism for the future, Voyager 06 features beautiful California redwood side inlays, sustainably sourced only from reclaimed timber. Bon Voyage: We set out to create the perfect round sunglasses using only the finest materials and best craftsmanship. Each frame is meticulously handmade in Japan and features high-quality shatterproof lenses with 100% UV protection. The Voyager shape was designed to be comfortable and flattering on all face shapes. Its super-durable construction and smooth, high-quality hinges ensure these will be your favorite shades for years to come. 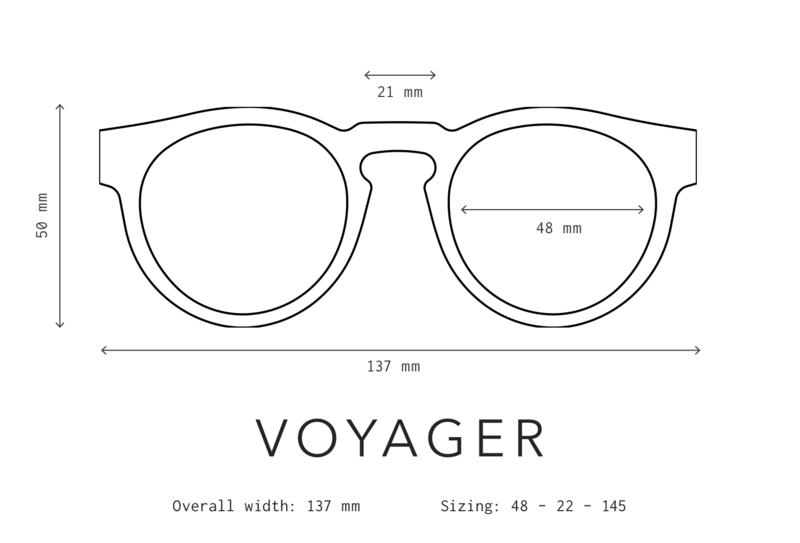 Design the Voyager to fit your style! The Voyager space probes were launched in 1977 to study the planetary systems of Jupiter and Saturn. Our Voyager frame was inspired by the round shape of the spacecraft's attendant golden record, which featured the diverse sounds of planet earth.